1. What is Factorial of a number n, denoted as n!? 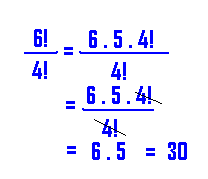 Factorial of any number n is denoted as n! 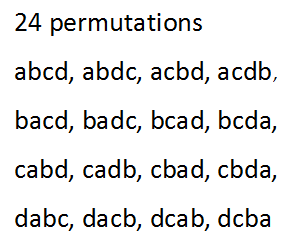 Now, what does 24 signify? How many ways can you seat four men a, b, c, d in four chairs? Filling each chair with a man is one task. And, there are four tasks here. So, what does 4! signify? 4! stands for 24 arrangements. Without allowing things to repeat, taking all in each permutation, n different things can be arranged in n! ways.